Over the years I have discuss serious topics – the importance of music education, the status of the nanny state, the need for personal responsibility. Today I have a major personal gripe – the ending of my beloved House. For those of you who may be living under a rock, House has been a breath of fresh air in comparison to the constant ridiculousness of so-called reality television. The show addresses unusual medical conditions while examining the complex soul of Dr. Gregory House; a Vicodin-popping, sarcastic, and incredibly brilliant doctor who is almost always right. Now I will admit the writing over the last two seasons has been less than stellar, however, season eight has been nothing short of awesome with some of the best writing in years! House is also set in my beloved New Jersey. While it is mainly a backdrop, it is displayed in a much better light than the ridiculous Jerseylicious, Jersey Couture, and the painfully ever-popular, Jersey Shore. I shutter to think what will take House’s place. There is already very little original worthwhile programming on television today. 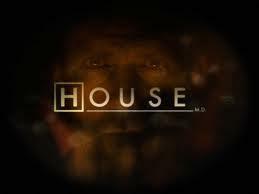 So I really hope the production team of House will reconsider. Otherwise, who knows what crappy reality show will take is place – definitely a major gripe of which I doubt I am alone.